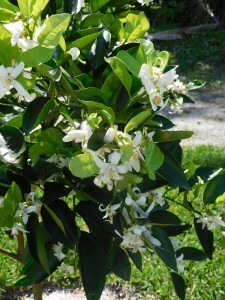 I was treated to two lovely scent at my gardens today. The source for each was different. At the main garden (larger one) it was orange blossoms. One of the trees in the small grove next to the garden was in full blossom. Quite heavenly. The scent at the second (smaller) garden was from the mango grove that the garden is beside. It was very pleasant and refreshing. 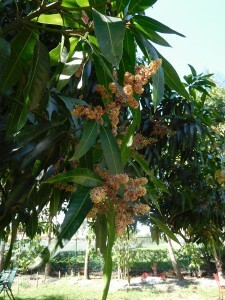 It is very gratifying to see so many of the mango trees in bloom after the hurricane. Most were knocked over and had to be straightened back up and severely pruned. Right now i can't imagine what it's like to smell blossoms of any type of tree... It's so cold here!